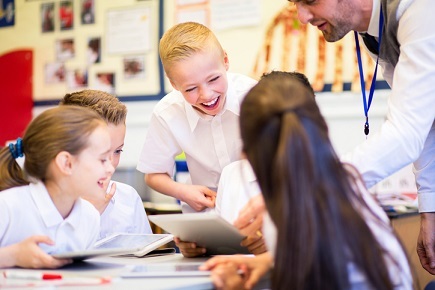 As technology shifts the way in which people work, schools have had to adapt in order to keep up with these dramatic changes in society – and this can be challenging for many principals. One particular challenge for principals is how to ensure the tools and resources their teachers use in the classroom are the best possible means for preparing students for life after school. Fortunately, recent strides have been made by governments who recognise the crucial role that technology will play in industries such as robotics, ICT and communication – all of which are likely to see high job demand into the future. One example of this was the Federal Government’s July announcement of the Australian Digital Technologies Challenges (ADTC), which is set to play an important part in Australia’s national Digital Technologies curriculum. Education software company, Digistorm, founded in 2010, have been providing support to schools in areas such as web development, web design, iPhone development and SEO management. The company recently developed two new tools aimed at helping schools tackle some of the most complex technology challenges head-on. One of these tools is a custom enrolment system called ENROL that allows schools to gather, assess and manage enrolments, as well as offering integrations that allow schools to then export the information for direct import into their TASS and Synergetic systems. The other, called eduAPP, allows schools to select from a suite of modules in order to make sure they provide their school community with every communication tool that they need. These include calendar notices, news and other information. Digistorm’s National Sales Manager, Chris Lang, says one of the biggest technology-related challenges looming for schools in 2018 will be time-management. “Throughout the key steps of a student's enrolment, from their first contact with the school to their educational journey, schools are continually faced with high administration times in addition to fragmented forms of communication with parents,” Lang told The Educator. Lang said the most powerful aspect of Digistorm’s ENROL and eduAPP systems is their ability to integrate with other key school systems. “At Digistorm, we have a strong understanding of the accountability that school principals have for both efficiency and communication,” he said. Lang said the eduAPP offers “a modular approach”, helping principals improve their school's communication with parents, and offers deep integrations with systems such as TASS, Schoolbox and ParentPaperwork. “This allows principals to improve processes and reduce administration time for school communities,” he said.